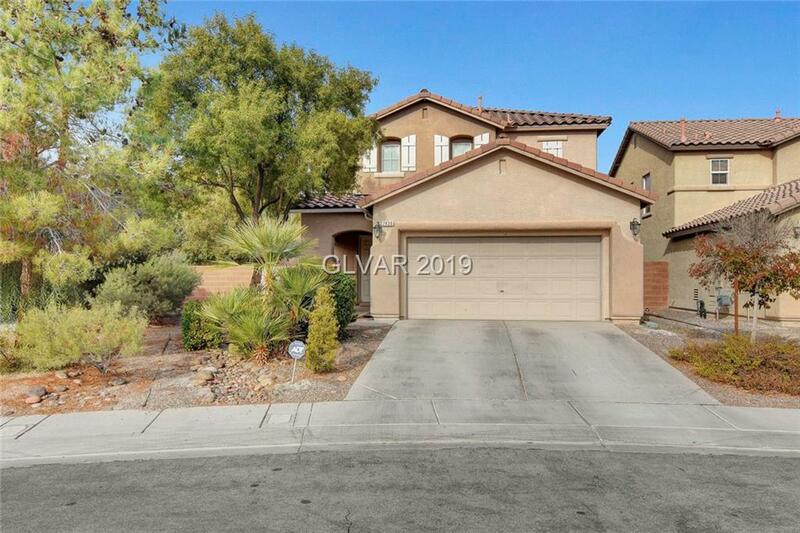 This darling 3 bed 2.5 bath 2 story with HUGE back yard completed landscape and patio. Open floor plan downstairs with lots of cabinet space in kitchen and pantry. Refrigerator, Washer, Dryer included. Laundry room is located upstairs for easy access from bedrooms. Large Master bedroom with deep walk in closet. Soaking tub adjacent from shower. His and hers sinks. Buyer to verify Schools. Measurements are only approximate. Directions: Head N On Us 95 Exit Ann Turn R Pass Allen Turn Left On Simmons -turns Into Aliante Pass Tropical. R On Centennial, L On Chebec L On Cockatoo.